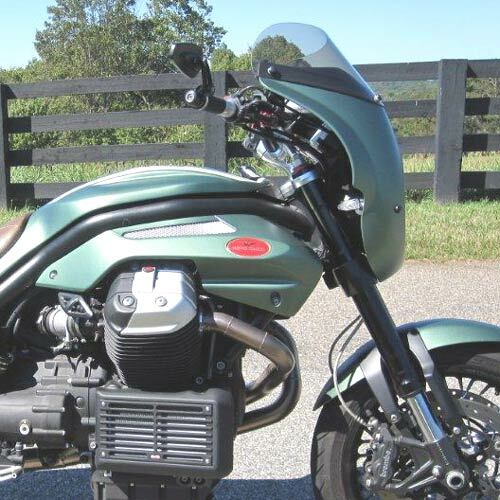 The Scout Fairing for the Moto Guzzi Griso has the same classic styling as the Scout for all the other model motorcycles. 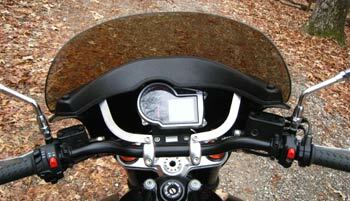 It offers great upper body and head protection provided you get the correct height windshield for your height. We have several height shields to choose from and we want you to just barely look over the top in order to get the wind quietly over your helmet. We also offer low shields for those times when you aren't touring and want a short shield for just cruising around town in Summer. Windshields can be changed out quickly by removing 4 bolts. The Scout weighs under 5lbs. and is offered unpainted (pictured). The only Moto Guzzi color we offer at this time is black. 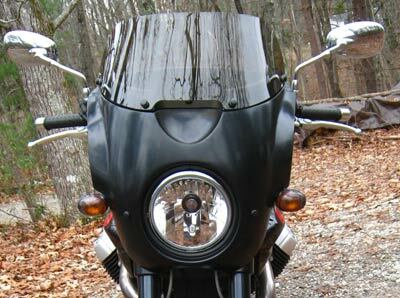 The Scout butts up against the headlight and attaches to the handlebar clamps and the headlight bolts. Your choice of shield and all hardware required to mount is included.